The United Kingdom is by far the largest European audiovisual market and its withdrawal from the European Union would have a profound impact on the entire sector. It is against this background that the European Audiovisual Observatory (EAO) provided an overview on the matter. Following a market publication: “Brexit in context: The UK in the EU28 audiovisual market” issued in May 2018, which delivered a market European-eye view of the UK’s weight within the EU’s audiovisual markets, the EAO has published in November 2018 an IRIS Plus which discusses the legal side of the question – “Brexit: The impact on the audiovisual sector”. Weight of the UK in the audiovisual market: building on the findings of the above-mentioned Market report, the study demonstrates the leading position of the UK in the EU film and audiovisual market in terms of content production and film exports in cinemas and TV and as the country of establishment of 29% of TV channels and 27% of on-demand services in the EU. The consequences on the flow of the main EU funding streams, such as Creative Europe MEDIA Sub-programme, Cohesion Policy, Horizon 2020 and Erasmus+, are also presented. Overview of the major legal repercussions on both the UK and the EU: the first major consequence would be the loss of access to the internal market and the freedoms of movement guaranteed therein. Besides that, the various directives (Copyright, E-Commerce, Net neutrality) and the various competition rules regulating the audiovisual sector would no longer be applicable, which might create a series of uncertainties as to the future regulatory framework in which the UK audiovisual media services will be exploited, as well as the loss of the “Country of Origin” principle deriving from the AVMS Directive. Priority issues affecting the audiovisual sector: among those are the impact on the relationship between EU and UK law, the free movement of persons and access to a skilled EU workforce, the free movement of goods and services and access to audiovisual markets, the access to EU funding streams, the state aids and fiscal incentives. Main concerns expressed by audiovisual industry stakeholders: they are mostly related to the mobility of skilled workers, to the access to the EU market and funding streams and co-production incentives, as well as to the question of how to guarantee and enforce copyright protection. Uncertainties regarding the application of the UK agreement with the EU in domestic law and the dispute resolution system to be put in place: the most worrying and unresolved issue in this perspective will be the future role of the Court of Justice of the European Union (CJEU) as an interpreter of EU rules without direct jurisdiction in the UK. 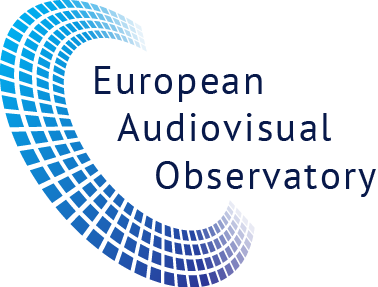 Both reports, as well as other key aspects of the Brexit question, have been presented and discussed on the occasion of a public conference organised by the EAO entitled “Brexit - impact, challenges and chances for the European audiovisual sector”, which took place on 27 November 2018 in Brussels. Maria Donde, Head of International Content Policy at Ofcom UK and Vice Chairperson of EPRA was one of the panellists.